A while ago, 99Bitcoins approached this topic and guess what… We were right! 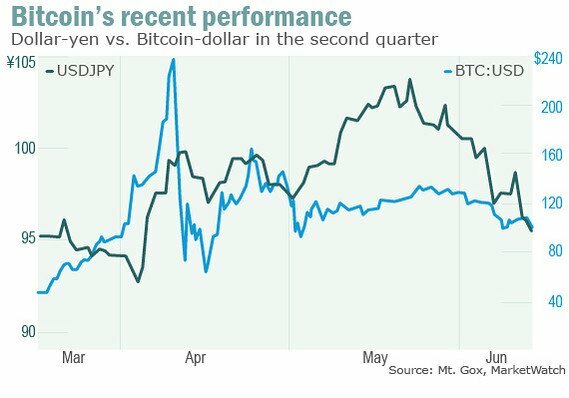 Bitcoin is clearly getting stronger and more stable, as the recent happenings of last month didn’t even seem to pinch the digital currency. After all the initial problems, Bitcoin got through this dark period with a dignity never seen before. Not even the decrease of 3.4% registered by the US dollar messed with the cryptocurrency’s stability like it used to. In a week, between June 7 and 14, the value of Bitcoin only fell about 10%. We say “only” because, if you remember correctly, the digital coin registered a scary 70% drop in April, making everyone hold their breath. Not this time! “Bitcoins are attracting a newer generation of government skeptics”, states James Angel, an associate professor at Georgetown University’s McDonough School of Business. And the more users play the same game, the more they reinforce it. Besides, more users mean more interest from investors: “some of the allure of Bitcoin is coming out of traditional gold investors”, according to Adam Rabie, the founder of Gold.net. “Bitcoin is obviously new and exciting while gold is old and nostalgic”, he adds. And we can’t forget one of the factors that is making Bitcoin a global phenomenon, after four years of existence: the media. The press and the new media have surrendered to Bitcoin’s entice, making it more and more popular. Sure, there are still people who see it as a bubble that can pop at any time, but these skeptics are slowly disappearing.